Clock up a staggering 69 million team actions in either Bad Company 2 or the Vietnam expansion and ding, the Operation Hastings map from Battlefield: Vietnam will be unlocked. This event spans PC, PS3 and Xbox 360, and DICE starts counting team actions on 21st December - the day the Bad Company 2 expansion Vietnam is released. Team actions are resupply, heal, revive, spot and repair. 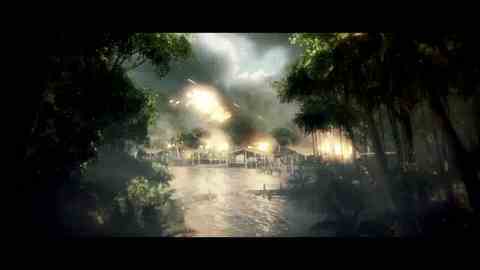 Eurogamer got a sneak peek at the Vietnam expansion for Battlefield: Bad Company 2 last month. The Vietnam expansion can be pre-ordered on PC from the EA Store now. It costs a tenner.